Boardwalk Stories is a collection of fourteen linked tales spanning the decades 1950-1970 which invite us into the private lives of the colorful denizens of communities like Coney Island, Long Beach, the Jersey shore, and the California beach towns. Born in Brooklyn, Roslyn Bernstein moved to Long Beach, New York in 1948. She was raised in the West End of town, a short walking distance from the city's boardwalk, which runs for two miles along the ocean side of this barrier island. 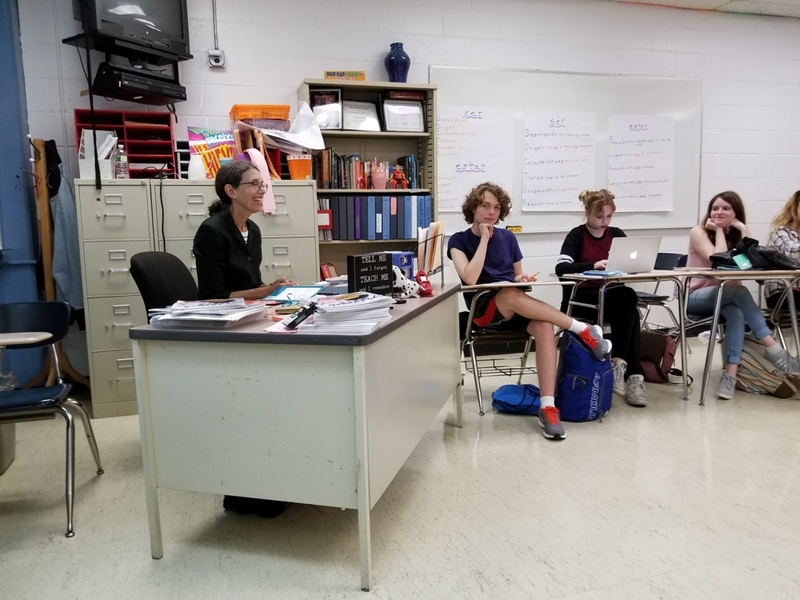 A poet and journalist, she is currently Professor Emerita of Journalism and Creative Writing at Baruch College, where she recently retired after more than 40 years of teaching. She served as the head of the journalism program and founded Dollars and Sense, the Baruch College Magazine.She also served as the founding director of the Sidney Harman Writer-in-Residence Program at Baruch College from 1998--2014. 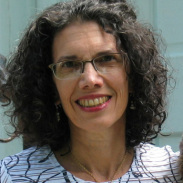 Roslyn Bernstein earned a BA at Brandeis University and a MA and Ph.D. at New York University. Her latest book, co-authored with Shael Shapiro, Illegal Living: 80 Wooster Street and the Evolution of SoHo, published by the Jonas Mekas Foundation in 2010, is the biography of the first successful artist coop building in SoHo, organized by Fluxus visionary George Maciunas. She is currently working on a young adult novel set in Jerusalem in 1961 during the Adolf Eichmann trial. KENNETH S. TYDINGS, POD. D.
Dr. Kenneth Tydings and his family came to Long Beach, New York in 1945. He was the first podiatrist in that city. His avocation had always been photography. He authored approximately 75 instructional and photography books and filled those books with photographs of his family and his city. HBO debuted Billy Crystal's "700 Sundays" last night (April 19, 2014), taping a performance of the Broadway show before a live audience. Crystal and his family lived at 549 East Park Avenue and Billy and his two brothers graduated from Long Beach High School. The show is filled with classic Long Beach memories: the bowling alley, Wing Lew's Chinese Restaurant, and the boardwalk rides and games. For those of you who missed it, there will be other HBO playdates: April 21 (noon, 8 PM), 24( 1 PM; 1:05 AM), 27 (5.15 PM) and 29 (9:30am and 7:00 PM) and May 3rd (2:oo Pm, 12.55 am) 6 (6 pm) 9 (9:30 am) 14 (3 pm), 18 (noon) and 26 (10:15 pm). See link below. An autobiographical journey, Crystal's two-act play deals with numerous characters in his family, growing up in Long Beach, meeting the jazz world of Manhattan through his uncle and his father, and with loss, too. His father died of a heart attack when Crystal was only 15. As someone who lost her father when I was only 19 (he was killed by a drunk driver in front of my West End home), I could truly relate to Crystal's grief. Finally, some positive, post-Sandy news about my hometown, Long Beach, NY. Long Beach is mentioned in a NYT story, "Suburbs Try to Prevent Exodus as Young Adults Move to Cities and Stay," by Joseph Berger. Long Beach, Westbury, and Rockville Centre were cited last year by one politician as examples of municipalities that have succeeded in drawing young people with apartments, job-rich office buildings, restaurants and attractions, like Long Beach's refurbished boardwalk. Two local residents appear in the story, Jack Schnirman, the 36-year-old city manager of Long Beach who moved there from Fort Greene, Brooklyn and Autumn Raubuck, who left a cramped Upper East Side apartment for Long Beach in 2007. There are two photos of Autumn, one with her family ( four children) and another of the view from her West End Bungalow, overlooking the beach. I met Autumn in the West End after Hurricane Sandy when she and her family were recovering from flooding --with substantial damage to their possessions--and when Autumn was heading up a Kickstarter campaign to raise money for the flooded West School, my beloved alma mater. I gave her copies of Boardwalk Stories to distribute as a gift to donors. The lead story in the Real Estate Section of the Sunday, NYT (April 6, 2014) by Ronda Kaysen bears the headline, "Back to the Shore." Its focus is the Jersey Shore, which the writer describes as a construction zone these days. Houses are being raised and repaired--a "structural legacy" of Hurricane Sandy. Kaysen paints a rosy forecast for Summer 2014. Long Beach, New York is recovering, too, after Sandy hit it hard. Houses have been repaired, and in some cases, razed, and many areas of town are also construction zones, especially the hard-hit West End. Prices are going up but it's not booming yet. One thing is certain, though, we do have a a beautiful new boardwalk, ready for summer. 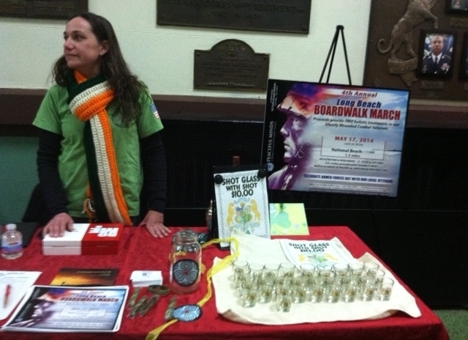 that the 4th Annual Long Beach Boardwalk March to benefit combat veterans will be held on May 17, 2014. Meet at National Beach at 11 AM for 1.5 mile walk. I am delighted to donate a copy of Boardwalk Stories to their raffle. and concrete. Estimated cost: $40 million. Happy to report that I've donated copies of Boardwalk Stories to this fundraising effort. Superstorm Sandy hit Long Beach, NY very hard. There was a 12 foot storm surge and my beloved boardwalk was badly damaged. So damaged that the City decided to demolish the entire boardwalk. There is an on-going discussion about the right material for the new boardwalk--wood or concrete. I admit my bias for wood. After all, the final story in my collection is called, "Splinters." 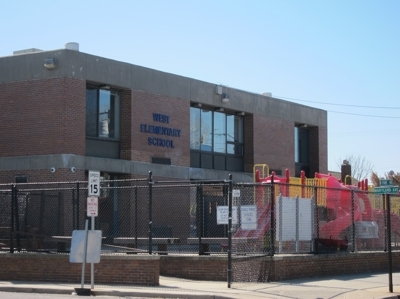 In fact, my elementary school, West School, just blocks from my childhood home, has yet to open. A local parents' group is trying to raise money for the school: Westoration Project. 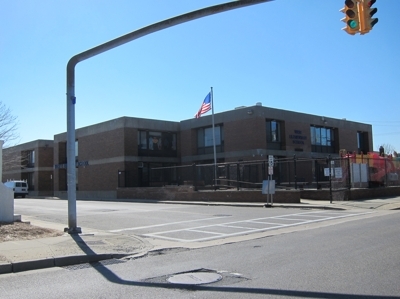 Below are two recent photos of West School. "You cannot go to Long Beach without enjoying the ocean, but there are other things in town to round out your excursion, according to Roslyn Bernstein, a native of the island and the author of "Boardwalk Stories,"a recent collection of linked tales that use her sunburned memories of childhood as their narrative core." — Alan Feuer, "Finding Life on the Water, and Off," Local Stop: Long Beach, Metro Section, The New York Times, August 16, 2009, p. 3. The City of Long Beach is unique among South Shore communities in many ways, including one feature that’s the focal point for a collection of stories by a local author. Boardwalk Stories by Roslyn Bernstein uses this wondrous man-made part of beachfront communities, especially the one in Long Beach, as a center of story action and plot. The author, a long-time Long Beach resident and college creative writing professor, also posits that the boardwalk and its environs seem to breed strange and unusual characters that figure into her stories, a point with which I strongly agree. 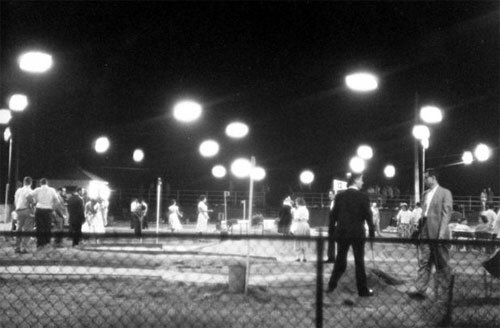 The subjects touched upon in Boardwalk Stories range from childhood memories of “Digging to China” while excavating that deep hole at the beach to playing skeeball and other boardwalk arcade games to spying on your best friend and her family during the McCarthy era and watching for German submarines from a special beachfront observation tower. 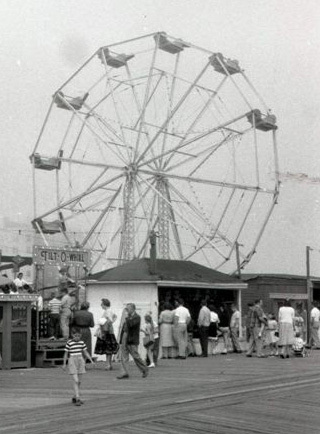 The author includes boardwalk-related vintage photos from a collection by the late Dr. Kenneth Tydings. The photos and stories brought me back to childhood memories of Long Beach in the 1950’s, 1960’s and 1970’s. I don’t feel so bad now that others also thought the “odd” things I perceived as a child often occurring around the Long Beach boardwalk were not unique to me. These “odd” things, of course, included the earlier mentioned “strange characters “ like the woman who spent summer days on a boardwalk bench telling kids apocryphal beach stories insisting that they were true. 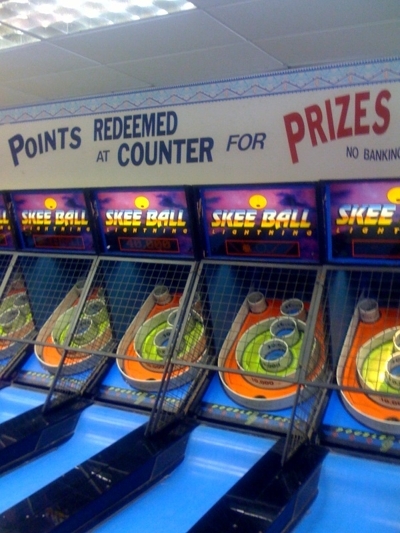 There was also the unique atmosphere of Seidel’s Skeeball on the boardwalk at National Boulevard. Nickels were the coin of the realm providing you with an opportunity to win the “big” prize of a transistor radio or a giant stuffed bear. Boardwalk Stories is a 14-story collection of memories (for old-timers like myself) or a vivid description of times gone by for everyone else that is worth a trip to the library or Amazon.com. It definitely rates a strong four and one-half sand castles out of a top five. 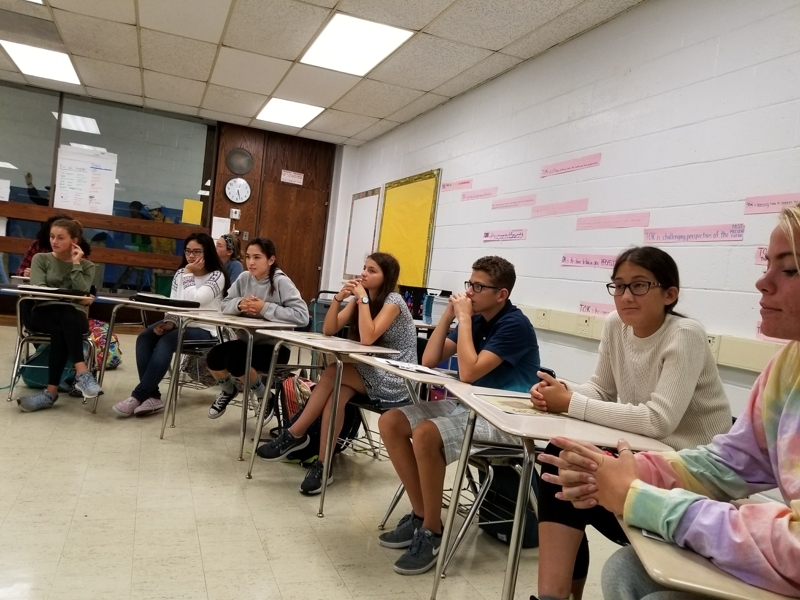 As a professor of journalism and creative writing at Baruch College, CUNY, and director of its writerin- residence program, Bernstein passes along her extraordinary storytelling skills. Here, she uses them to bring us back to a world where U-boats patrolled the East Coast, mechanical gypsies dispensed fortunes, and city dwellers on holiday thronged to ride the bumper cars or used their Skee-Ball prowess to win kewpie dolls. Each of fourteen gripping tales of boardwalk denizens young and old is illustrated with a vintage black-and-white photo chosen to touch a special place in the reader's heart. These 14 engaging stories linking several characters over two decades all take place in a seaside community where boardwalk, sand, and ocean are the backdrop to adolescent boredom, Cold War fears, and dreams of the struggling class. Bernstein’s obvious affection for her colorful, streetwise characters lends the book emotional substance, and Tydings’s vintage photos are the perfect complement to her evocative depiction of a bygone era. 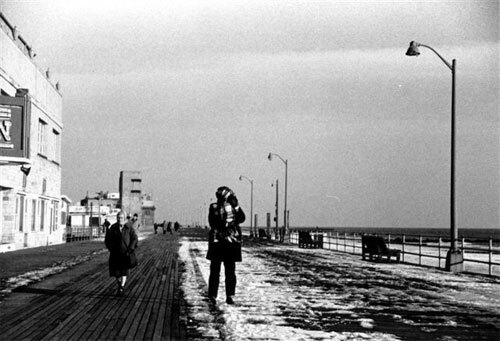 Sometimes somber, often moving, Boardwalk Stories easily conjures up a less complicated time and a uniquely insular place that readers may find difficult to leave. 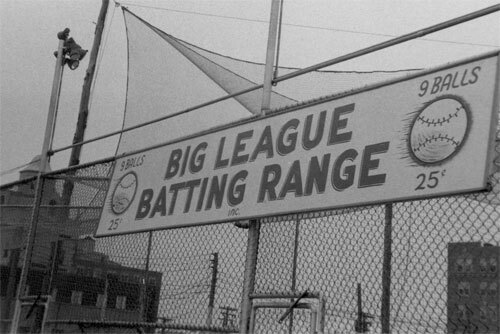 Nostalgia…the old days. Boardwalk Stories brings to memory childhood days on the boardwalk…at least for those of us over 50. For me, it was days in the early ’30s at Coney Island with wool swim suits that sagged and got itchy when they were heavy with salt water. 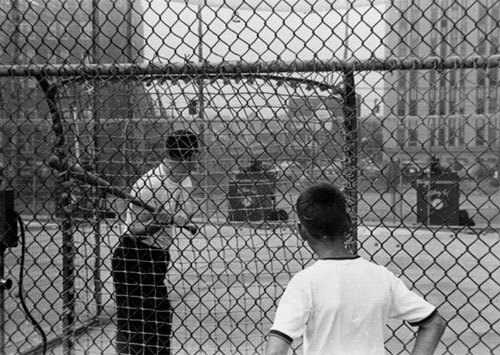 For Bernstein, it’s the ’50s and the colorful characters who made a meager living from Skeeball and kid rides and hot dog stands. It’s redolent of salt water and sun and hot dogs tainted with the grit of blown sand. She brings to us an awareness of “hidden” people, those we would not notice: the hot dog lady, the Skeeball attendant, an orphan eager for a little job and a little affection. Bernstein’s stories bring us the interior lives of these hot dog ladies and pitchmen whose world revolves around the water’s edge. Jolly Trixie got her name from the famous Trixie who weighed over 600 pounds. Trixie only managed 300 pounds, but she still has hopes and eats in happy expectation. And her mustard…ah…she knows mustard. Beverly has the unique skill of weighing nickles. A handful, she can tell you how much value. Her life is nickles and Skeeball. Sol, who owns the concession, wonders if he should leave his wife. Arnold, who runs Playworld, meets a young orphan who languishes in a “home” and yearns for a father. Small lives with big dreams, and Bernstein brings them to life. Bernstein’s observant eye and compassionate interest bring us into lives that ordinarily would escape our attention. Dr. Kenneth Tydings’s remarkable photos give immediacy to the stories and draw us back to that moment in history. Along with the colorful folk who make lives from the boardwalk are the children from the lower end of the beach community. Jewish kids who admire the Catholic kids who are identified by dog tags which list religion since an A bomb might fall, and oh how they covet those Catholic tags. And the poignant story of the girl who is taken in by McCarthy propaganda and is “engaged” as a spy to root out her best friend’s father, the sad innocence and subsequent painful awareness of exactly what she has done. The heart of all these stories is the recognition of the large dreams and painful disappointments of these “beach people” in their struggle to survive in meager, unadorned worlds. Maybe a lost boy will find a loving father. Maybe a weigher of nickles will inherit a Skeeball concession that will secure her a nickle-and-dime living. Maybe Trixie will eat herself into a prestigious 600 pounds. by Roslyn Bernstein. Photographs by Kenneth S. Tydings. 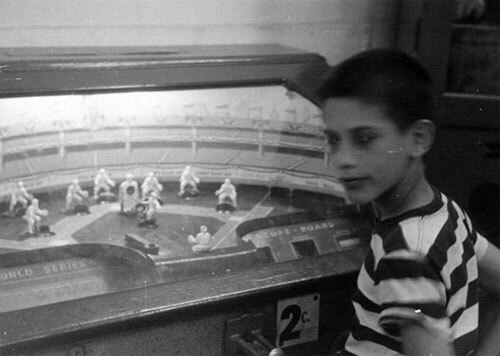 Fourteen interconnected stories tell how Beverly, a would-be actress, came to manage Friedman’s Skeeball Arcade on the boardwalk and fell in love with Arnold, who ran the Ferris wheel amusements at Playworld. Other characters include fat lady Jolly Trixie, who eats to keep from getting the blues, hot dog sellers and switchboard operators—and Miss Lydia, who runs a “professional” dance studio. The tales begin in the 1950s—a time when the F.B.I. could convince a child (Beverly) it was patriotic to spy on her best friend’s family (after all, even if they were nice Jewish people, they were Communists). 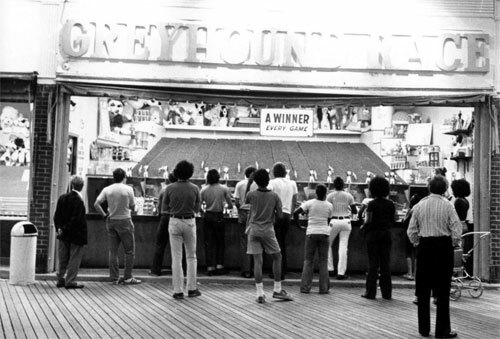 They end in 1970 when the boardwalk’s future is uncertain. After all, the younger generation now had money for a trip to Florida or to travel the world; Playworld’s whip, bumper cars and amusements could not compete with the newly opened Disneyworld, Arnold muses. Roslyn Bernstein’s prose is unadorned yet filled with fine, knowing details of the era: kewpie dolls and goldfish prizes; old-timers’ memories of sightings of enemy submarines from the tower off the beach in the ’40s. 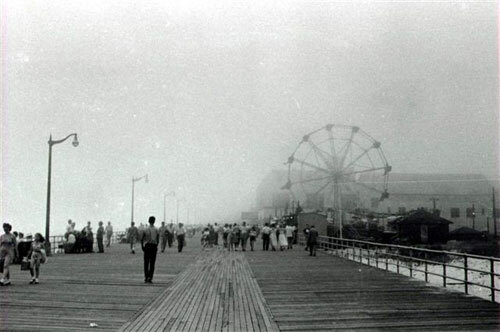 The boardwalk is unnamed—and many of the stories could have taken place in any beachfront neighborhood on the Eastern seaboard—but details hint at it being Long Beach, New York, not least because it describes the West End as the place where blue collar workers lived; the East End, where the rich people “clustered”; and the middle class, naturally, living in the center of town. Kenneth Tydings wonderful black-and-white photographs perfectly and richly complement the stories. Bernstein successfully elicits feelings for her characters and for a time that was, but adding the images is a winning combination. 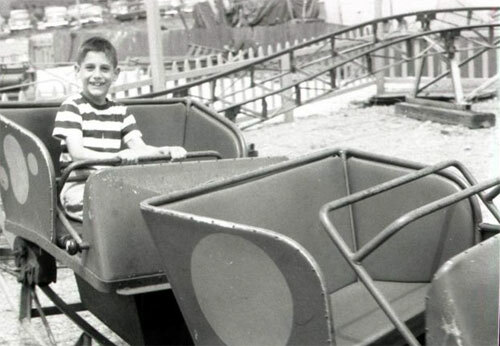 For instance, in one picture a boy is seen from the back staring over a fence at a silent ride on snow-covered grounds. The image introduces the story “Playworld,” in which the Arnold first meets Joey, a boy who has run away from the local orphanage; later Joey decides he wants to wear a Jewish star, to be Jewish like Arnold and Beverly. "Roslyn Bernstein's interplay of photography and prose evokes a New York childhood of the past with precision, warmth, and candor." "These interlinked tales of love and betrayal, of big dreams run aground, hew to a single seaside stripe — a splintering boardwalk — yet in those narrow bounds encompass a world as complex and irreducible as now lost to us: the paranoid, innocent, zealous, ambivalent, atomic-bomb-shadowed world of McCarthy's America. In these stories of seaside friendship and survival, orphans find fathers; young girls become spies and destroy those they care for the most; a broken man writes to his youthful employee you made me laugh before bequeathing her his business, and shooting himself. So closely observed and so naturally told they feel less written than confided, these boardwalk stories transport us — to a time already evanescent even for those living through it. Their sharp longing, their homesickness-before-the-fact, and most of all their loyalty to place, become our own." "Boardwalk Stories" is so alive, every sentence jumps off the page at you. I feel grateful to have this portrait of NYC -- one I had not known or imagined." "You created a remarkable cast of characters and truly evoked a unique period and place. The photographs were the perfect accompaniment." "I thoroughly enjoyed reading "Boardwalk Stories" by Roslyn Bernstein. The fictional characters really come alive, well-woven through the fourteen vignettes of small town life during the '50s to 70's. It left me wondering what will become of Beverly and Arnold, the colorful couple struggling with adulthood." Both funny and melancholy, the tales of these boardwalk characters grow slowly in complexity. Each story is so densely packed with vivid details of place, time, event and character that it's impossible to remain outside a world where sand follows you to bed and winning a small radio at the arcade makes you the luckiest person in the world. In a period of twenty years, which seems at once both a poignant and enchanted time, Beverly Bridges grows up in a poor neighborhood in a Beach town and fails to fulfill the grandiose destiny you'd expect her to have. The thing is that, because we see the other characters in the book dealing with day-to-day heartbreak in a very realistic fashion, you may even be glad that Beverly, her boyfriend Arnold and the young kid who admires them are not superhuman but just like every other person you've met, and even freer. After all, they knowingly keep jobs that barely allow for luxuries such as electricity. Each story, mind you, has a comic potential that reminded me of Woody Allen's RADIO DAYS. What to do, for instance, when you are an orphan awaiting to die next to a Jewish boy? Or what if you've just met a thoroughly overweight woman and feel she'd like some company, would you invite her to dinner even if you know she'll be rejected by your boyfriend? The answers are far from dramatic but, towards the end, you come to see that each seemingly insignificant action was also charged with a meaningful strike that ended up becoming Beverly's depth. Don't worry, though, there are no attempts to find all-encompassing finales, just the realization, for us, that these characters' unique way of life has just been crafted into the stuff of legend. This book was a fun read. I'm not a beach-going person, but I was captivated by the people in the stories. They seemed so real I kept wondering and worrying about them as if they were friends. And I was concerned about how they would manage their jobs and romances. Will the couples stay together? Will the orphan find a home? Will the old friends reconcile? Like life, the stories are incomplete and the future uncertain. But if the author writes a sequel, I'll happily come back to hang out on the boardwalk, eavesdropping on the conversations and the dreams while hoping to learn of happy outcomes. When reading this book, I could feel and smell the boardwalk: the sea breeze, the musty smell inside waterfront buildings, the hot dogs, and the melancholic feeling on rainy days or out of season. The author also masterfully brings to life the petty bourgeois mentality of the 1950s and 1960s and the anti-Communist paranoia, which I only know from documentaries. I consciously studied the photos only after finishing the book, and it all fits perfectly. I am not sure what I enjoyed more - the dense atmosphere or the intertwined stories of the characters. In the scarce time I have to read fiction, I rarely find myself rereading an earlier chapter but I did it here. A great book! This book and its pictures brought back so many memories of growing up in Long Beach. While I didn't share the experiences related, I remembered those places and what I experienced going to the Boardwalk arcades and rides- being a lifeguard on those beaches and then just enjoying the exceptional story-telling. I recommend this highly and look forward to future books by this author. Enjoy! I just read your book Boardwalk Stories, and I really enjoyed it. I feel like taking a trip to the Jersey shore in search of a nickel arcade and to devour some funnel cake. It’s a perfect beach book. I’m still wondering if Beverly will sell her arcade and travel? I liked that many of your chapters had unpredictable endings, and I felt immersed in the characters’ lives. The old pictures were a nice addition too. Good book, and thanks for providing me with an enjoyable read. I've almost finished "Boardwalk Stories" and they are a joy to read. So many, many memories that I had forgotten - opening fire hydrants for cooling off, jacks, shooter marbles, a wooden stick used to spread mustard on a hot dog with sauerkraut. The only thing I have found different is that you mention playing stick-ball, but stoop ball was our "sport" of choice along with jump ropes made out of laundry line (does Double Dutch ring any bells for you??) and hop-scotch drawn with chalk on the sidewalk. And, as someone who attended a Sisters of Charity grade school (St. Sylvester's in East New York), your first chapter made me laugh out loud. I was one of those who definitely wasn't building cathedrals in the sand and crossing myself at the same time. The beach in Far Rockaway is where we would go on weekends with our parents on the "A" train and ate home-made sandwiches on Lithuanian rye bread wrapped in waxed paper. I was absolutely dedicated there in Brooklyn digging to China - in the backyard with a large metal spoon. I don't remember having a clear idea of what would happen if I ever reached China - as you did with visions of exiting from the hole once there - but I do remember my absolute dedication to reaching China. Our street had Irish immigrants living on one side and Italians on the other. I lived on the Italian side with a few immigrants from Eastern Europe mixed in and to this day I still have a tendency to "talk with my hands." Boardwalk Stories and the twists and turns of my writing life. September 26, 2017. Aired: Week of March 4th, 2013. How Fiction and Fact are intertwined in these fourteen linked-tales set in the 1950s. Read, "Plank Goodness" a non-fiction account of boardwalk life, up on Tablet Magazine. Read an excerpt from "Dog Tags" on The Jewish Writing Project. 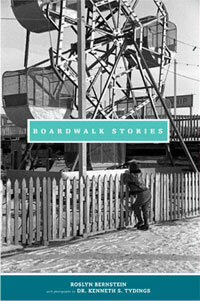 Boardwalk Stories is available for purchase at Amazon.com for $17.50.